Windows Lite is Microsoft’s attempt at bringing a new, more modern user experience to a Windows OS to compete alongside Chrome OS and iOS on iPad. It looks and feels different from any version of Windows before it, and it focuses primarily on web experiences and integrations, along with Microsoft Store apps, maybe even Android apps, and making the OS much lighter. The command prompt is still a powerful Windows tool. Here are the most useful CMD commands every Windows user needs to know. Chromebooks have become all-purpose, do-everything, productivity machines. Gartner and IDC both agree that the PC market is finally growing again, and Chromebooks get much of the credit for this. You may have been reading where you can revisit Windows 95 by running it as an app… From what I gather it is not fully functional; but, is pretty darn good (for an app) that will give the younger techs a “look see” into Windows 95. Here is an interesting, “matter of fact” take from Ars Technica on this matter that points out this is merely a novelty item. This is, of course, software piracy. The developer of the app has no rights to distribute Windows 95 like this, and I’m a little surprised that the app hasn’t been yanked from GitHub yet. And for now, the app is just a toy; there’s no real reason to run Windows 95 like this, other than the novelty factor of it actually working. In the home, the usefulness of the personal computer — which includes Apple’s Mac systems — is reaching its endgame. There exists an entirely new category of computing users who do not even own personal computers. It’s not an enjoyable experience when you click a link and the wrong browser loads. To avoid this experience, you can set your favorite browser as your default browser in Windows. Here’s how. If you are someone that has the tendency to load your desktop up with icons, then DesktopOK may be of interest to you. First off, I can tell you this little program has been around for awhile and progressively keeps improving in helping you manage the icons on your desktop. In a nutshell, it is a powerful tool that can store up to 32 different desktop layouts. ► Save your favorite icon locations for each screen resolution. ► Launch at Windows startup. ► Each user can then have his own arrangement. ► Minimises to tray area for easy access. Zedge is a smartphone app available for Android, iPhone and Windows that gives you the ability to download and manage tons of free wallpapers, ringtones, notifications, icons and more… Zedge also has a site (see source link below) available where you can preview (and download) wallpapers and ringtones from your computer. Zedge is one of the biggest and best mobile centric social networking communities in the world. We specialize in phone personalization and offer several unique and creative services through this website. We do currently have over 27 million registered members from all over the world. The Zedge brand and services are owned by Zedge Inc. Using the 4-step process of the Microsoft Windows and Office ISO Download Tool you can easily and comfortably download genuine Windows 7, Windows 8.1 and Windows 10 disk images (ISO) directly from Microsoft’s servers. As an added bonus here, you can also download the disk images for Office 2007, Office 2010, Office 2013, Office 2016, and Office 2011 for Mac, as well. Simply select the build you want to download and click on “confirm”. In my case I selected Windows 10. Select the Edition and click on “confirm”. In my case I selected Windows 10 Home/Pro. Select the Product Language and click on “confirm”. In my case I selected English. Select the whether 32bit or 64bit download; at which point you will be prompted to save the image file to a folder on your computer. The Windows 10 “Creators Update” will be the 2nd major update to Windows 10, since its’ public release in 2015. Rollout of this update is to start on April 11th. You can read more about the “Creators Update” and its’ new features by clicking on the source link below (which will take you to the official Windows 10 “Creators Update” site). Most folks at home don’t keep up with major Windows changes as we do in the tech world and end up scratching their heads when the update(s) hit their computers. Pass the word and explain, a new update is rolling out on April 11th and to expect the update to take some time to install. The Windows 10 Creators Update will begin to roll out to customers around the world on April 11 as a free update and Surface Book, Surface Studio are coming to new markets. This tool was not developed by Microsoft; instead, by a private party software developer who made this software so that you can easily download the various Microsoft Windows and Office images you desire, without going on the hunt for those images. Microsoft on Wednesday released Windows 10 Build 10041 after a considerable gap in time from the previous build release — Now promising monthly builds from here on out… Full final version expected to be released this summer. As I did in Windows 8, I am deliberately not touching Windows 10 until its’ release, so that I can experience (and report back) what it is like to experience it for the first time. While reviewing the Windows Event log on my Windows 8.1 computer, an error was being produced each time I booted the computer to indicate that a Windows Service was not loading. After researching the name of the service I found that the service was related to a software application that I had installed; and, then subsequently uninstalled. The service was still hooked into the Windows registry and was not removed during the uninstall process. I needed to find a way to remove the service that I positively knew was not part of the operating system. Please keep in mind, once you delete the service, it is gone; so, it is important that you know what you are looking for and what you are doing. In my case, as I do in most cases, I use the power of the internet to research issues such as this to ultimately find the solution. In this case, I thought I would share this one with you. Ran across this Windows based phone this morning at Amazon — Nokia Lumia 520 GoPhone — No Contract Phone — At the time of this posting was less than 30 bucks! Came across this article this morning by BGR – Confirmed: Windows 9 to be a free upgrade for Windows 8 users … Sounds too good to be true. Being the old geek that I am I learned a long time ago “believe nothing, verify everything”. I will definitely be looking for more verification on this. Prior to performing a re-install of the operating system on my computer, I ran NirSoft’s little utility called ProduKey to retrieve my Windows 8 product key. This key is required in order to complete the installation of Windows and is the key that communicates to Microsoft that you legally purchased the operating system software. Typically what happens is when we get these product keys we end up forgetting where we placed them or where we had written them down. ProduKey makes retrieving the key very fast and easy. Note: The description at the NirSoft site indicates the software will display the key for Windows (including Windows 7 and Windows Vista). Does not indicate Windows 8; however, I can attest that it will work for Windows 8, as well. Bookmarks4Techs is one of, if not, the largest listing of tech sites on the internet. If you have an interest in the world of computers and information technology, I think you will find this site to be a very valuable resource. I will be working hard to keep the site up to date; and, as a result you will see continual changes in the listing. The Louvre Museum has 8.5 million visitors per year. What’s On My PC was viewed about 410,000 times in 2013. If it were an exhibit at the Louvre Museum, it would take about 18 days for that many people to see it. If What’s On My PC were an exhibit at the Louvre Museum, it would take about 18 days for that many people to see it. In 2013, there were 249 new posts, growing the total archive of this blog to 1,708 posts. There were 774pictures uploaded, taking up a total of 46 MB. That’s about 2 pictures per day. The busiest day of the year was February 4th with1,917 views. The most popular post that day was Wallpaper of the Week (#107) – Baltimore Ravens Super Bowl Wallpaper. To those of you (at home), who have Windows 8 based computers, please know that Microsoft will be soon releasing, to the general public, an upgrade to Windows 8, called Windows Blue (or Windows 8.1). What is all this talk about Windows 8.1 Preview? This past week Microsoft released the “preview version” of Windows 8.1, so that it can be tested and run in the wild by computer guys like myself to make sure it is polished enough to release to the general public. Is this a good thing? You bet it is… The underpinning’s of Windows 8 is a really solid operating system, but Microsoft released it with changes that really caused a stir. Most of the stir was from what people were visually seeing on the surface, such as the computer no longer booted to the desktop; and, once they figured out how to get to the desktop, the Start Menu was no longer there. This upgrade will remedy these concerns and hopefully bring back that warm and fuzzy feeling that has literally taken home based computer users many years to get accustomed to. Is Windows 8.1 Preview ready for everyone to try? Are there risks to installing Windows 8.1 Preview? What are the system requirements for Windows 8.1 Preview? What languages is the preview available in? Will my devices and programs work with Windows 8.1 Preview? Will I be able to keep my files, settings, and apps if I install Windows 8.1 Preview? How do l install Windows 8.1 Preview? Do I need a product key to install Windows 8.1 Preview? Can I uninstall Windows 8.1 Preview? Where do I go for Windows 8.1 Preview support? Where can I get more info about Windows 8.1 Preview for businesses and IT professionals? I want to build apps for Windows 8.1—what resources are available? How Much Physical Memory Can Windows Actually Use (or See)? A memory upgrade is one of the best computer upgrades you can make; however, it is important to know that Windows, depending whether your system is 32 bit or 64 bit, does have a limit. In other words Windows can only see a specific amount of memory depending on the architecture of your system and the operating system version you are are running..
To put this into perspective, see below a comparison between 32 bit vs. 64 bit of Windows 7 and Windows 8. This week’s wallpaper will really make your icons standout (with the black background) and is unique in that it features the close, minimize and maximize buttons that you find in Windows. Windows 7 (and 8) Users: If you are using Windows 7 (or 8), did you know you can create a desktop background slideshow to show off your pictures and wallpaper images? To learn how to use this feature [CLICK HERE]. If you are new to Windows 8 and rate yourself as the average computer user, then you may find Windows 8, in its’ present form, a challenge. When I make the statement, “in its’ present form”, I’m referring to the upgrade that will soon take place that will bring Windows 8 back down to earth where the average computer person resides. Windows 8 is a really good operating system; it has been the new graphical user interface and missing start menu that has thrown people off. In reality, not a big deal; however, Microsoft realized that they were shooting for the moon and may have advanced the user interface a little bit too far, too fast. The Windows 8 upgrade, last I read, is to correct these issues and make it so that people can be eased into the future proposed changes. In the meantime, if you just purchased a computer with Windows 8, I really encourage you to take some time and watch (and read) these tutorials, which are all FREE from GCFLearnFree.org . What’s In The Bag Today??? Below you will find two videos that shows the evolution of Windows. With today’s smartphones, tablets, and digital cameras possessing the ability to capture video, you need some good video editing software, such as Windows Movie Maker. The reason I am mentioning Windows Movie Maker is that it is FREE, is made by Microsoft and has an easy learning curve. For example, I am not really into video editing, but recently I ran into a situation where I had captured a video, using a digital camera, and I needed a way to crop the video’s start and stop point and compress the size of the video so that I could email it. Always remember, video captures typically can be very large in file size and sending a large video via email most likely will not work. This is where Windows Movie Maker helped me out. In summary, after transferring my video to my computer, I opened up Windows Movie Maker, started a new project from the file menu, which prompted me to locate and load my video. Once the video was loaded (in a film strip type of fashion), I simply used the controls to play the video and stop it precisely where I wanted the actual starting point of the video to be. You can also drag the vertical line across the strip to really fine tune things. Once I established my starting point, I simply right clicked on the strip and clicked on Set Start Point. You can also do the same to determine your Set End Point. As you perform these tasks, the video is cropped. Once I got this completed, with my goal to get this down to a size I could email it, I simply went back to the file menu and clicked on Save Movie, which then gave me an array of options such as Hi Def Display, Computer, Email, Android Phone, Apple iPhone and more… In my case, I selected the Email option which automatically reduced the video file size and dimensions. The file was saved as an MP4 file by default. What I described is just a very basic use of Windows Movie Maker. It has so much to it that you can add animations, transitions, photos, background music in actually creating your own personal movie presentations. If you are a YouTube fanatic, Windows Movie Maker may be a big help to you. Quickly add photos and footage from your PC or camera into Movie Maker. Then fine tune your movie just the way you want it. You can move things around, speed it up or slow it down—it’s up to you. Enhance your movie with audio and a theme. Movie Maker adds transitions and effects automatically so your movie looks polished and professional. Once your movie is ready, share it online on Facebook, YouTube or other social networking and video sharing sites. Send a link to your movie in an email to family and friends so they won’t miss it. Here is an close-up example of what nature has to offer. This wallpaper is called Morning Dew and it absolutely will serve as a beautiful background on your computer (or any of your devices). Twist transforms into a laptop when you need to type, a tablet when you’re on the go, and a stand when you want to share presentations. When you’re ready to browse, bend it backward into a tent for a close-up view. The Start Menu Will Be Back In Windows 8.1. Is This An Upgrade or a Downgrade? One thing that I have learned over the years is to try and look at Computer Information Technology through the eyes of the end user, which is YOU!. When Microsoft released Windows 8, which by the way is an excellent operating system, they forgot to look at it through the eyes of the end user, which is YOU! For me, it was another toy to play with and I made myself understand it (because that is what I do); but, 99 percent of the people who use computers are not like me. 99 percent of these people were finally getting somewhat in the groove of learning and navigating Windows and then Microsoft dropped the Windows 8 bombshell that really threw people off. I daily hear the complaints about the Start Menu being missing and that you have to jump through a hoop to get to the desktop. I do have some good news about Windows 8. In the very near future you are going to see an upgrade to Windows 8 (which will be FREE), called Windows 8.1, that in a sense is actually a downgrade. Why do SQL injections persist? How do you make the perfect iPad even more perfect? Protect it in style—with a superthin screen cover for wherever you go. And add a Bluetooth wireless keyboard—so you’re always ready to type with precision. Tech Paul at Tech – for Everyone (a computer tech by trade) is telling us to make this adjustment to help preserve our sanity with Windows 8. If you need to get to “Safe Mode” in Windows 8, it is not an easy task, as in the past. Tech Paul provides easy steps to make getting into Safe Mode (when needed) the same way we always have. I can tell you Windows 8 is a great operating system; however, I am still trying to figure Microsoft’s thinking on some of the features added and removed in this version of Windows… Thanks to Tech Paul for this heads-up! I know my readers (and visitors) will appreciate this. 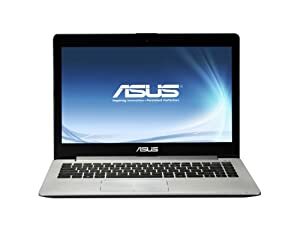 The ASUS VivoBook S400CA-DH51T featuring a 14.1″ LED Backlight HD (1366X768) capacitive touch panel with multi-touch functionality, Windows 8 Home Premium, 3rd Gen Intel® Core i5-3317U processor, the ASUS VivoBook S400CA-DH51T, puts life at your fingertips. If you have a computer running Microsoft’s ‘new’ Windows 8, I strongly recommend you take the following (quick and easy) action – promptly. Don’t dilly, or dally, do it now! Take it from a computer technician, you want to undo (one of) the incredibly stupid thing(s) Microsoft did to Windows 8 and, restore this advanced recovery and troubleshooting feature. 1) Press the Windows key + the X key to open the Start menu. 2) Click on Command Prompt (Admin), and answer “OK”/”Allow”/”Proceed”. 4) Press Enter. After a moment, you should see the message “The operation completed successfully”. POLL: What is your opinion of Windows 8? Today I decided to do something a little different; more or less, as an experiment of sorts. Since the release of Windows 8 I have had the opportunity to see where people stand when it comes to Windows 8. Most of these people are people who were finally just becoming comfortable with Windows; as it was in Windows XP, Vista and 7. What I am witnessing is that Windows 8 really does have the home-based computer user, more or less; confused, discombobulated, disoriented, thrown for a loop, and just plain frustrated. From my personal experience of using Windows 8, I did find it initially confusing (different); however, in the end I am finding it to be a very stable operating system that I actually like. Some people are comparing it to the release of Vista, which is far from the truth. What I decided to present today, on the blog, is a poll of sorts to see where you stand when it comes to Windows 8. I have never posted a poll here before so this will be an interesting experiment. I also encourage you to post your opinion via the comments section, as well. Stardock is currently working on a Windows 8 application called ModernMix, that is a must have application for Windows 8. ModernMix is in Beta; however, it has been released for public use. We all know that Windows 8 has been challenge for most users due to the interface change. We have been trained, by Microsoft, for over 20 years; to open, close and minimize applications via the windows controls in the top right corner of a window. When you boot to the Windows 8 Start Screen, which is host to and the launching point for Windows Apps, your first instinct is to try and close an app by looking for those controls; only to find out that they do not exist. ModernMix changes all of that. After you install ModernMix you will notice that any App you open there is now a set of controls. These controls, located in the top right corner of the app you have open, allows you to toggle the app into a Windows mode, toggle the app back to the Start Screen Mode, or close the app. When you are at the desktop level and you have a Windows App open you can open, close and minimize the window (containing the app) just as you always have. Another cool feature is that you can pin the app to the Windows taskbar. Once the app is open in a Window it will act as it normally does. For example, using the screenshot above. I opened a news app on the Windows 8 Start Screen, toggled the control to the Windows mode (which took me to the desktop) and was able to scroll horizontally through the news articles. ModernMix is currently $4.99, and typically I only promote FREE software; however, this is one exception. ModernMix is the missing link to Windows 8 and I highly recommend it. Stardock has once again pushed the envelope and came up with a very useful software application that will make your Windows 8 experience a good experience. What most people do not know about Windows; and, especially Windows 8, is that nearly every type of function in Windows can be controlled directly from their keyboard via keyboard shortcuts. For example, in Windows 8 the classic Start Menu is missing. As a result of no Start Menu, people are at a loss when it comes to shutting down their computer at the Windows 8 desktop level. This is where having knowledge of keyboard shortcuts can come in handy. In this scenario, simply hitting the Alt + F4 keys in combination will ultimately lead you to the Windows Shutdown dialog box where you can select the shutdown option. The reason I inserted the statement “ultimately lead you to” in the previous sentence is that each time you hit Alt + F4, and you have any programs open, that keyboard combination will individually shut down each open program until you reach the desktop level. Another favorite of mine for shutting down my computer in Windows 8 is simply hit the Ctrl+Alt+Del keys in combination. That will take you to the screen where you can lock the computer, sign out, change your password, launch the task manager and where a small power button (bottom right of the screen) is located to power off the computer. This keyboard combination will work from the Windows 8 Start Screen level and the desktop level. Today I went on the hunt for a listing of Windows 8 keyboard shortcuts and found many; however, the most visual descriptive listing I found was at a site called, ShortcutWorld. Many of the articles I post are often as a result of real world experiences. Recently, through conversation with a co-worker about Windows 8, they were expressing their dismay about not knowing an easy way to access the more advanced power user or system management functions in Windows 8 such as Control Panel, File Explorer (formerly called Windows Explorer), Search, etc… Their dismay soon turned to WOW, after I showed them how to access what is called the Quick Access Menu in Windows 8. I consider knowing this tip as a must learn tip to accessing these key computer functions; plus, a HOW TO tip to accessing Windows 8’s version of the Start Menu (see below). Hover your mouse pointer over the lower left corner of your screen and when the small (square) thumbnail screen appears, simply right mouse click and voila’ the Quick Access Menu will appear. This method of accessing the quick access menu is my favorite and can be accessed from the Windows 8 Start Screen and from the Window 8 desktop level, even if you have a program open. Learn to find and use this menu by practicing and before you know it, accessing the menu will become second nature. The second method, if you are into using keyboard shortcuts (which I am not) is simply hit the Winkey plus X (Windows Key + X). Also, as an added bit of information. Many people think that the Start Menu is gone in Windows 8; whereas, it really is not. It just looks (a whole lot) different. If you follow the steps I outlined above to access the Quick Access Menu, and click on Search, the convoluted Metro version of the Windows Start Menu will be launched. This definitely looks different than what we were used to in the previous Windows version; but, in essence, this is the Start Menu that lists, categorizes and will launch any of the programs on your computer. As I mentioned in an earlier article, I never had any “hands-on” experience with Windows 8 until it was officially released by Microsoft back in October. I intentionally did this so that I would have that first time user experience (and challenge); like most of you will have. As I continue to “find my way” there was one thing I started to wonder about. Was there a way to easily close a Windows 8 app once I opened it? In reality, in the scheme and design of things when it comes to Windows 8, you will find that it really does not matter; however, I wanted to know. I eventually found the answer that works for me on my desktop computer and find myself doing this all of the time now. When you are working from the “Start Screen” (see screenshot of my Start Screen below) and click on an app, the app will open maximized on your screen and you will immediately notice that there is no close button or minimize button. What you have to do, is this: When the app is open move your mouse cursor to the top of the screen. When the cursor reaches the top of the screen a “hand” will appear (see cropped screenshot below). When the “hand” is visible on the screen, hold down the left button on your mouse, drag to the bottom of the screen, and the app will disappear (and close). As you are performing the dragging action, visually you will see the app shrink down from full screen to a much smaller screen (or window). Once you teach yourself to do this, I will guarantee it will become second nature to you when you want to close an app. Note: The cropped screenshot you see above is a Windows 8 app called SmartCalc. Has Bookmarks4Techs Been Kidnapped or Assassinated? Wow, since the release of Windows 8 I have seen so many variations of Start Menu’s for Windows 8 that it is mind boggling. You may ask why? When you get to the desktop level of Windows 8 you will immediately notice that there is no Start Menu. To some, this is a crisis! As a matter of fact my first look at Windows 8 made me second guess this to the point that I even wrote an article Seven Alternatives To Restore The Start Menu In Windows 8. Following that article, I found at least three more variations of third party start menu replacements. Folks, listen to me… Once you get settled in and learn how to use Windows 8; the Start Menu, as we have know it, really does not matter. I have tried all of these Start Menus and to tell you the truth, once I got a handle on navigating Windows 8 and punched through the learning curve, I do not use them. If you are looking for a way to slowly wean yourself from the Start Menu, or you are missing the Start Menu, I encourage you to give Power 8 a try. Why is this any different than the other third party replacements for the Start Menu? Well, Power 8 may be what the doctor ordered to help you through your Start Menu crisis. Power 8 is available as a portable app, which means it will not mess with your system. Power 8 is really designed with Windows8 in mind: however, it also works under XP SP3 and Se7en SP1 as well. Elements from internal JL engine for all supported OS. Allows you to configure various settings in the settings window (see details here). In yesterday’s post I reflected Seven Alternatives To Restore The Start Menu In Windows 8 and explained that the Windows 8 desktop looks very similar to Windows 7 desktop minus the Start Menu (and Start Menu button). From what I have been reading on the internet, this is driving people to make statements that Windows 8 is another Windows Vista and that this release of Windows will fail. I can tell you this is not another Windows Vista. The more I explore Windows 8 I am finding that it is a finely tuned and stable operating system. Where the issue lies, in his case, is that Microsoft is taking the gamble by making changes in the visual appearance of the desktop operating system and encouraging us to change the way we do our work. This operating system is also geared toward the tablet computer and cloud computing; AND as a result, at the desktop computer level, we are getting the hybrid or the best of both worlds. There is no way that Microsoft can compete without a tablet or smartphone operating system platform. As a result, we have Windows 8. I do have to admit, after I installed Windows 8, having not explored the beta or preview versions, I was somewhat discombobulated. The lack of the start menu was the focal point that caught me off guard; however, after careful thought it dawned on me – I never used the Start Menu much anyway and the new Start Screen (or Metro Screen) is basically your Start Menu. It is something you will get used to and will eventually see that it does have a good purpose. If you do want to get the Start Menu back, at the desktop level of Windows 8, you will have to install one of the third party software applications that I mentioned in my article, Seven Alternatives To Restore The Start Menu In Windows 8. Following the post of that article, someone asked; “Which one of these start menu replacements would I recommend?”. After some testing, I ended up breaking my pledge of not buying software and ended up with Stardock’s Start8 (for $4.99). The other software options I tested were quite good, but I have always liked Stardock’s reputation and experience in the area of desktop menu development and modifications. I especially liked, following the install, that Start8 provided a skin option to give the start menu the metro look with the start menu button blending nicely into the taskbar. So, if you are crying the blues, “Where’s my start menu?’”, then Stardock’s Start8 will be enough to pamper you until you get to the point with Windows 8 that you realize, I don’t need the start menu (or desktop) anyway. Where is Recent Documents in Windows 8? When the beta and preview versions of Windows 8 was circulating around out there in the wild, I deliberately avoided downloading and testing it. WHY? I knew Windows 8 was going to be something completely and visually different than what I have been experiencing (since 1995) and I wanted to experience Windows 8 (upon final release) in a similar manner as others at home would be for the first time. Please factor in that I have extensive knowledge of the Windows OS in general; and, that I have been reading about and following along with the development of Windows 8. So in a sense, I sort of had an idea of what to expect; whereas, the everyday computer user really has no idea of what to expect when change like this occurs. I strongly encourage anyone making the leap from any of the older versions of Windows to Windows 8, to take in all the information that you can to learn more about this new operating system or visit your local tech store to give Windows 8 a try. On the release date of October 26th, I downloaded and installed Windows 8 on my PC. Upon completion of the install, I have to admit I sat there looking at the screen, in real-time for the very first time, scratching my head and mumbling; Where’s my desktop? ; What are these menus flying from the side of the screen for? This looks like a giant smartphone screen, etc… I actually started to think, I just made a huge mistake. Long story short… After a few days of learning how to navigate around, I am starting to enjoy Windows 8 and the new challenges (and features) it is giving me. I soon learned that I could get to my desktop by clicking on the desktop tile on the start screen. What immediately caught my attention and will definitely be a challenge for the home-based computer user is that there is no start button when you get to the desktop. Personally, I never used it much anyway, but this is really going to throw the majority of people off. To overcome this problem, I went on the hunt for a start menu. What I found was seven start menu alternatives that you may want to explore to help get you back on track in Windows 8. With one of these alternatives you can feel like you are still in Windows 7, but still have all the luxuries of Windows 8. Start8 ($4.99) – Return the Start Button to Windows 8. A Windows 7-style Start menu with Windows 8 enhancements. Pokki (FREE) – Brings back the Start Menu to Windows 8. The Pokki Menu makes accessing and organizing your favorite apps, websites, files and folders more simple and convenient. 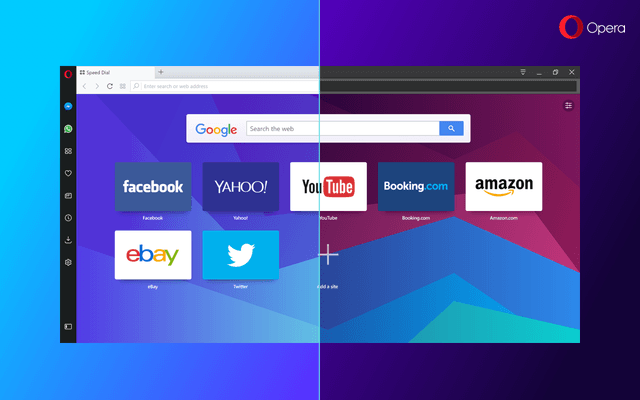 Search your PC and the web to add your favorite apps and sites, then organize them like you would on a smart phone. ViStart (FREE) – Functions in Windows 8 just like the original start menu in windows 7 and has some extra features on top of that especially for windows 8. For EXTRA features. Simply right click the windows start button and you will be presented with an “EXTRAS” menu. Here you access to frequently used windows features as well as a few extra ViStart features. StartMenu8 (BETA FREE) – Offers a perfect solution for users who work with Windows Start Menu all the time and are not accustomed to the new Metro start screen in Windows 8. This smart tool brings back both the start button and Windows Start Menu, and offers the option to skip Metro start page, allowing users who only work on desktop to boot to Windows 8 desktop directly. Classic Shell (FREE) – A collection of features that were available in older versions of Windows but were later removed. It has a customizable Start menu and Start button for Windows 7 and Windows 8, it adds a toolbar for Windows Explorer and supports a variety of smaller features. Look here for the full list. Start Menu Х (FREE) – A replacement of the system menu for professionals. Power8 (BETA FREE) – The start menu replacer for Win8, styled and integrated inside taskbar. How To Check If Your PC Is Ready For The Windows 8 Upgrade? The release date for Windows 8 is tomorrow (October 26th) and if you are planning to upgrade you will be given the opportunity to download Windows 8 Pro (Professional) for $39.99… [CLICK HERE] to learn more about the upgrade process and cost. It is the lowest cost I have ever witnessed for any Windows OS upgrade; however, make sure you do your homework first and don’t jump into this. Make sure you have all of your personal files backed up. Personally, for the first time ever (and I do not know why) I have not even touched any of the Windows 8 beta or preview releases. Maybe I am looking for the challenge if I do opt to upgrade OR it is my gut telling me to play this out for awhile. I will tell you this… For the everyday desktop or notebook computer user, Windows 8 is going to present you with some cosmetic and navigational changes over what you have been used to. For example, the first thing that is going to capture your attention is that there is no start menu button. Instead there is a start screen. You also have to know that this version of Windows is being driven by the new world of tablet PC’s and as a result you will see many flavors of Windows 8 based tablet computers. Microsoft has even produced their own tablet computer called Surface that will be in direct competition with Google’s Nexus 7, Apple’s iPad and Amazon’s Kindle Fire HD. Windows 8, I am sure, is an awesome and stable operating system; however, if you are running a desktop or notebook computer, with the intent to upgrade, you may want to download and run the Windows 8 Upgrade Assistant. 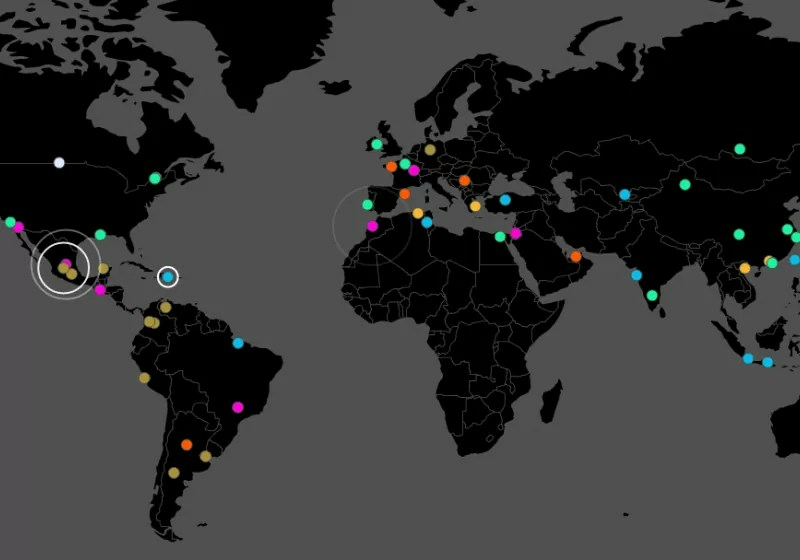 It scans your hardware, apps, and connected devices to see if they’ll work with Windows 8. Make sure all the peripheral devices that you need to work with your PC, like printers and monitors, are connected to your PC and turned on before you run Upgrade Assistant. Upgrade Assistant checks your PC hardware to see if it meets the Windows 8 system requirements to install on your PC, including features of the processor such as CPU speed, PAE, NX, and SSE2, as well as RAM size and hard disk capacity. It also checks for compatibility of your currently installed apps and devices. It provides a compatibility report. Windows 8 generally works with the same apps and devices that work with Windows 7, but in some cases, a product might need an update, or you might need to uninstall and reinstall it after you upgrade. The compatibility report lists your apps and devices that will work in Windows 8, those that might not work, and what you can do to get them working again after you upgrade. If some of your apps and devices aren’t listed, it might be because we don’t have compatibility info for that product yet. For more info on specific products, check the Windows Compatibility Center, or contact the product manufacturer. You can save or print the compatibility report to use later. Unless you choose the option to “keep nothing” during the upgrade, you’ll be able to find the report on your desktop after the upgrade. For more info, see Get your apps and devices working in Windows 8. It checks your PC for support of certain Windows 8 features. Specifically: the Windows Store, snap, secure boot, and multitouch. If your PC doesn’t support one or more of these features you’ll see a warning. You’ll still be able to installWindows 8, but specific features won’t be available to you. It provides the option to buy, download, and install Windows 8. If your PC is ready to go, Upgrade Assistant provides a recommendation on which edition to buy, and walks you through the steps to upgrade. Today I came across a one of the kind, really useful tool, called Taskbar Pinner that makes pinning anything to the Windows 7 or Windows 8 taskbar an easy task. to pin any folders or files via command line:taskbarpinner.exe "path\to\desired\location"
Note:One thing I ran into is that when I went to extract the dowloadable Taskbarpinner zip file (that contains the Windows 7 and Windows 8 versions), I was prompted to overwrite the files. If that occurs, simply select “no” and the file will extract properly. Otherwise, the program works as indicated… Also, if you try to run the Windows 7 version on Windows 8 (and vice versus), the program will crash. Today, while performing site maintenance at Bookmarks4Techs.com, I featured the site 7Tutorials. If you have not been to Bookmarks4Techs.com lately, please visit… I have done a complete site makeover that features a tech site on a daily basis, a ton of feeds from numerous other popular tech sites, the Bookmarks4Techs Site Collection, a FREE software page, and a Tech Deals page (featuring a Tech Product Cloud). My goal has been to set this site up to automatically and dynamically change the content on a daily basis. In other words the site is sort of on auto pilot. If you are into computers and technology, then make sure you visit Bookmarks4techs.com. If you are a buyer at Amazon, be sure to use Bookmarks4Techs as your launching point to Amazon. Each time you do, it provides support to keep the site going. What caught my attention at 7Tutorials is that they have developed a little utility program, called Shutdown Windows, that is a shortcut to the Windows shutdown menu. It appears this program is geared toward Windows 7 and Windows 8. It may work on Windows XP; however, I was unable to test it on that platform. If you do download and find that it does run on XP, leave a comment below. What this is especially good for, if you are like me, is if you are into customizing windows. For example, I do not use the Windows Start Menu to launch my programs. Instead, I use a program called XLaunchPad to perform that task. Shutdown Windows is a nice addition to the XLaunchPad I have setup; however, you can setup Shutdown Windows to run directly from your desktop. Makes it real easy to shutdown your PC. The horse here being Microsoft, via the Windows blog… I do believe Microsoft has realized that the world of computer technology is quickly changing and there are now strong competitors to their market which they had such a hold on. Read more details about the upgrade [ HERE ] . According to The Windows Blog, Windows 8, the next release of the Windows OS platform, will be available for retail in three flavors: Windows 8, Windows 8 Pro and Windows RT; making it easier for the consumer to understand. It still fascinates me that the people in the “real world” (not the “tech world”) are still oblivious that there is another version of Windows in the works. To help bring the “real world” up to speed, reflected is a description of what to expect. Windows 8 and Windows 8 Pro. For many consumers, Windows 8 will be the right choice. It will include all the features above plus an updated Windows Explorer, Task Manager, better multi-monitor support and the ability to switch languages on the fly (more details on this feature can be found in this blog post),which was previously only available in Enterprise/Ultimate editions of Windows. For China and a small set of select emerging markets, we will offer a local language-only edition of Windows 8. Windows RT is the newest member of the Windows family – also known as Windows on ARM or WOA. This single edition will only be available pre-installed on PCs and tablets powered by ARM processors and will help enable new thin and lightweight form factors with impressive battery life. Windows RT will include touch-optimized desktop versions of the new Microsoft Word, Excel, PowerPoint, and OneNote. Windows 7 Users: If you are using Windows 7, did you know you can create a desktop background slideshow to show off your pictures and wallpaper images? To learn how to use this feature [ CLICK HERE ] . Now here is a really cool wallpaper of a jet airliner taking off right over your head… This wallpaper looks great on a widescreen monitor. 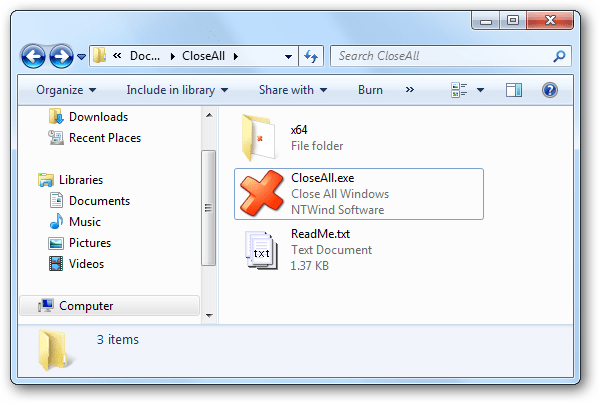 You talk about point and click… Here is a small software utility (called Close All Windows) that gives you the ability to close all running applications with a single click. No installation is required. Simply download Close All Windows, extract the file and create a shortcut to the file on your desktop; or, if you have Windows 7, pin the shortcut to your taskbar. You can even tell Close All Windows to exclude certain windows that you do not want closed. If you are like me and end up with many applications open at the same time, this utility makes it easy to bring down the house and close all of those windows at once.